Two of the best vape manufactures have joined forces to design and launch a new POD system, Augvape, known for their innovative design and superior build quality & Flawless for their high end mods, have joined this some what crowded Pod market and have launched the TugLyfe LYFE POD. The Pod systems on the market, are by design very simple and easy to use, so i was super excited to see what come of the joining of forces, and wanted to see if the finished article could reach its head above the crowd, to truly stand out in this super competitive market place. The Team at Augvape very kindly sent me out the LYFE POD free of charge, and the opinions and thoughts are my own. The LYFE arrived very neatly packaged in a clean sharply presented white box, with the image of the device on the front, and the standard warning label slapped at the bottom. The Tuglyfe branding is very subtle, on both end of the box. The box is tightly packed with the inner foam casing, housing. I was sent the solid black one, which has an almost matt finish to it, so no sticky finger prints on this one. 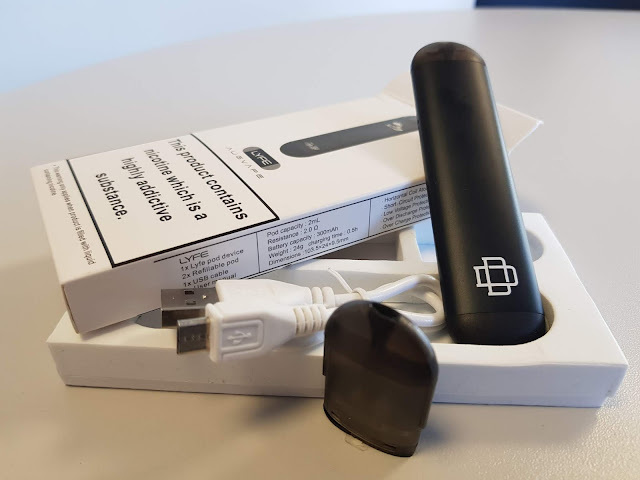 The Lyfe Pod is small and fits neatly in your hands, and can even be held between your fingers like a cigarette, due to its clever lightweight design. Made out of a lightweight body is machined out of alloy, which has then been powder coated, to give it its high end finish. 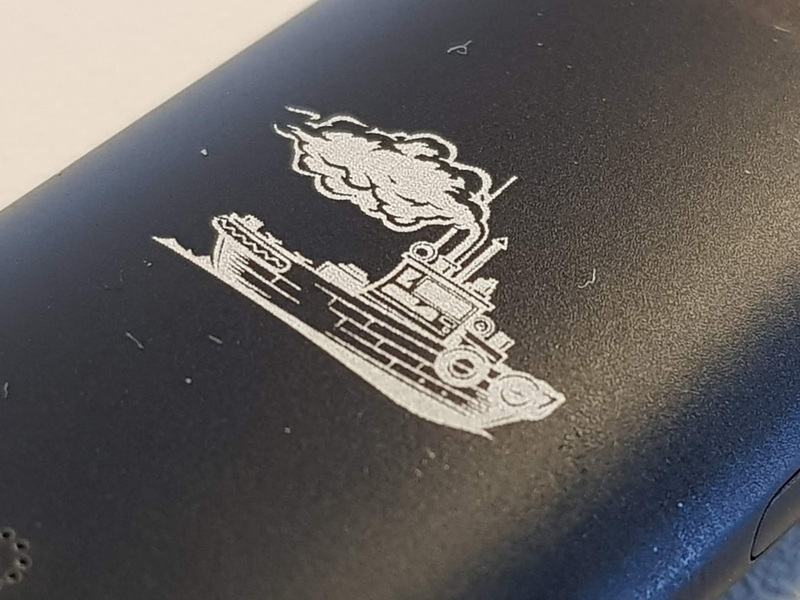 With subtle Augvape branding on one end of the device, which really adds to the overall look of the device. With the Tuglyfe branding at the other ends. 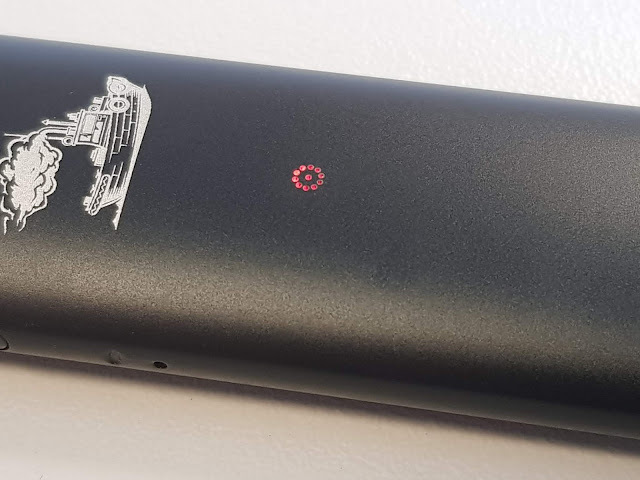 Once it is fully charged the LED will change from RED to GREEN and you then know that the tiny 300mAh battery is fully charged and ready to go. So you can unplug the USB. The only other thing you need to do is to fill up the 2ml Pod with your favourite Ejuice or Nic Salt, The kit comes with one installed pod, and then one spare. 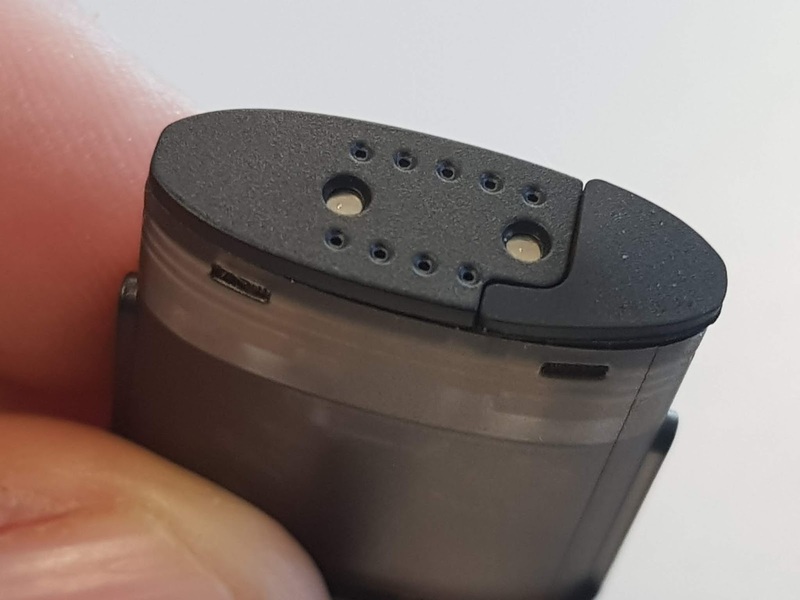 The pod section section of the device is easily pulled out from the battery body, to allow for filling. 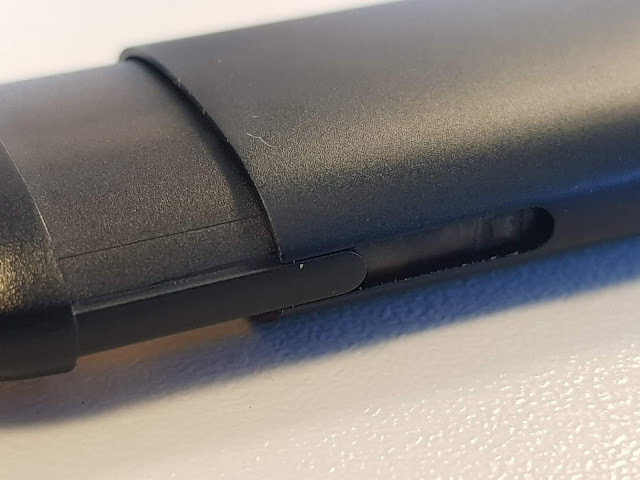 once the Pod has been removed, you can then turn it up on end, and pull the rubber seal out of one side, and then simply insert the end of the juice bottle and fill up the 2ml pod. The pod is made out of a tinted clear plastic, to allow you to easily see how much juice is left in the tank. Once filled, the pod presses back into the body, and it is ready to vape. 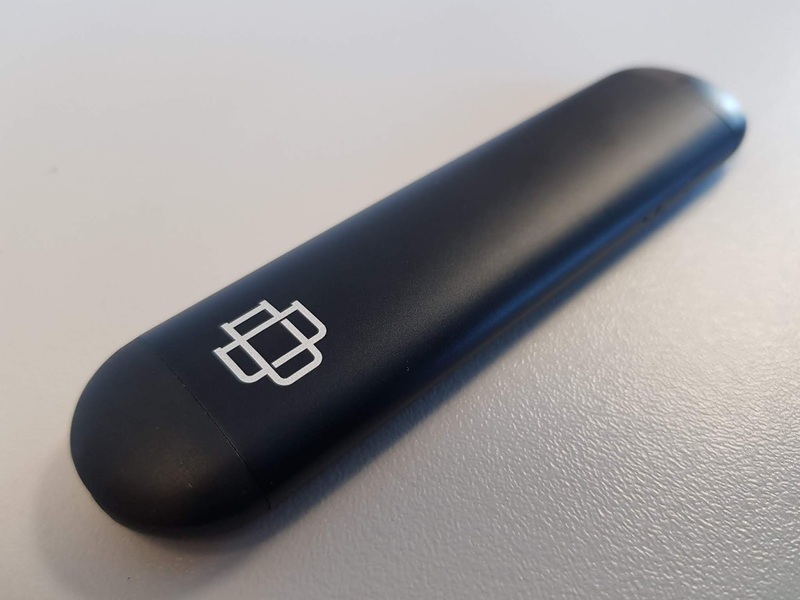 The Lyfe Pod performed really well, and provided a good level of flavour production straight from the off, and was impressive considering the side of the device and the coil. 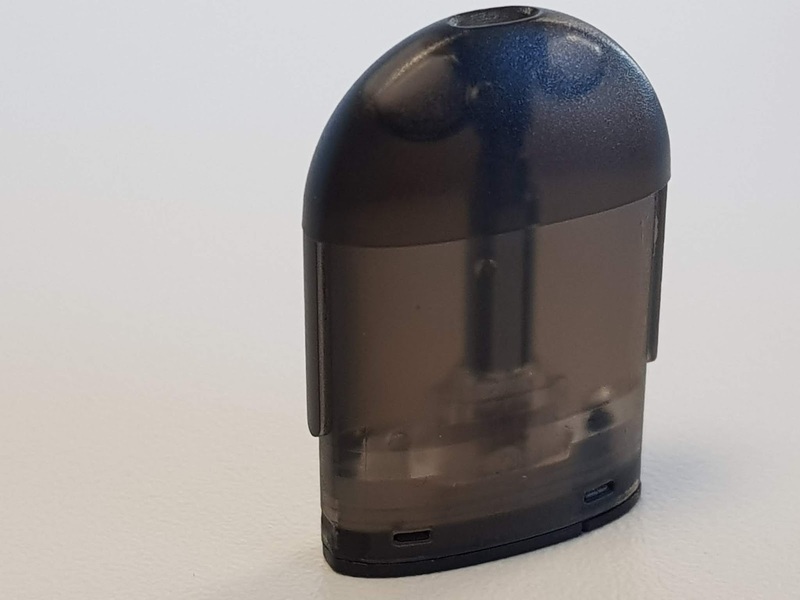 As with most pod systems the Lyfe Pod has a super tight MTL draw, to be more comparable with the draw you would get from a normal cigarette, which is what most users of such pod system would be looking for. I carried the Pod Device around in my pocket all day, putting it in pocket both ways up, to test out the device for leakage, and can confirm that i had ZERO issues with any kind of leakage from any part of the device. 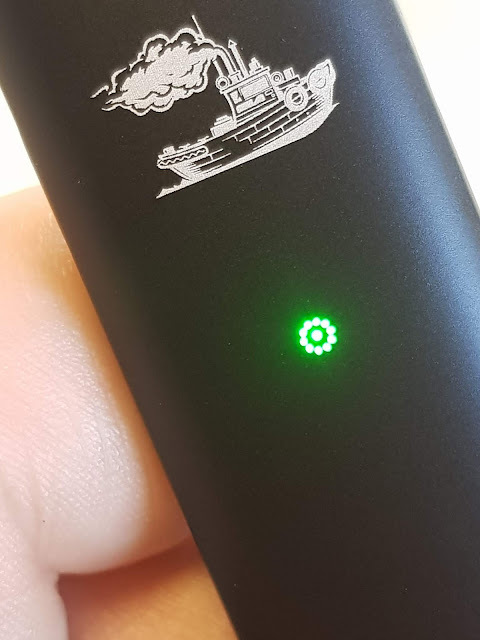 On average usage, i managed to vape on the Lyfe Pod for most of the day, before i needed to recharge it. The thing i was most impressed with,along with build quality, was the amount of Vapor production, this little pod system produced an impressive amount, compared with other Pod systems i have used. So if you looking for a POD system, then i would defiantly be recommended checking out the AUGVAPE Tuglyfe Pod system, a master class in Pod design. This ejuice was sent to me for review by Dan at Herbal Tides, from his amazing range of eLiquids. It is described on the Herbal Tides Website as follows. A sweet Raspberry Ripple Ice-Cream Blend with a little cream and twist the flavour your sure to back to for more . All of our flavours are mixed on the day of purchase and sent within a few hours. Each bottle is made individually after we receive the order, which ensures the best, freshest taste possible! The Vandy Vape brand has had great success over the last 12 months, with some real design classics,. The Vandy Vape Bonza RDA is the proof. It is a collaboration between Vandy Vape and the Australian YouTube reviewer The Vaping Bogan. The RDA not only looks stunning, but has one of the best dual coil decks in have come across, with super easy fixed screw clamps. It supports both single and dual coil configurations. The Vandy Vape Pulse 24 BF RDA Dual Coil Version is the next revitalization of the beloved Pulse series, integrating an impressive highly advanced Dual Coil version. Measuring 24mm in diameter, the Pulse 24 BF RDA is crafted with high-quality Stainless Steel construction in a three-piece structure and with creative elements. What' more Pulse 24 BF RDA also comes with a highly intuitive airflow system along with ergonomic design functionalities: adopts unique leak resistant tubular side direct airflow with 4 Spare Philips Screws for easily to build as well as the bottom feed directly to side juice wells. The Vandy Vape Pulse 24 BF RDA is a must-have collection for building enthusiasts. As with the first Pulse, the 24 comes packaged in the distinctive bright blue presentation box, with the Vandy Vape branding on the front, along with Tony B Project, who helped design this Atty. on the back of the box you have the contact into for Vandy Vape. Tony at Vivdvapes works tirelessly, searching the Vaping world to bring you the best of the best premium e-liquids from around the globe. His latest find comes all the way from Canada, he kindly sent over both os the Nata liquids free of charge for the purposes of these reviews. Tony is one of the only suppliers here in the UK that sells Nata 50mls, so feel super lucky to be sent them to review. Nata LiquidsNata Liquids Brand Are a Canadian Artisan Crafted Liquids That Represent The Traditional Tastes & Flavours Of Portuguese Desserts, that has developed a bit of a cult following since its creation. Enjoy the flavour of the traditional Portuguese custard tart.Pastéis de nata is the sweet custard treat, Portugal is most famous for. A crispy pastry shell filled with vanilla custard Raspberry brule and topped with cinnamon and caramelized sugar.These come in 60ml chubby v3 bottles. Carnival | Wick Liquor | e-cigarette direct. Carnival | Wick Liquor | e-cigarette direct.The guys & girls over at ecigarettedirect.co.uk very kindly sent over the brand new addition to their ever growing line up. A range of premium Boutique Eliquids from the Wick Liquor E-Juice Co. For the purpose of disclosure, these products were sent to me free of charge, for the purpose of these unbiased reviews. The company was founded in 2008 by Jean Rasbridge and James Dunworth. Initially run from Jean’s kitchen in an old farmhouse, the company grew rapidly through its focus on customer support and service and after Jean’s shed, drive and dining room (the last straw!) had been turned into packing stations, the company moved to its first warehouse. In 2013 the company opened its first shop in Neath, South Wales, and now has a network of shops throughout the South-West and Wales, and resellers as far away as Australia.